AVAILABILITY: In Stock: Ships From Our Office Same Business Day. Free Ground Shipping. Faster Shipping Can Be Selected During Checkout. The Flash Trac® OBD GPS tracker is compatible with passenger vehicles and light-duty trucks built after 1997. The Flash OBD is a 3G enabled gps vehicle tracker, with built-in internal battery. 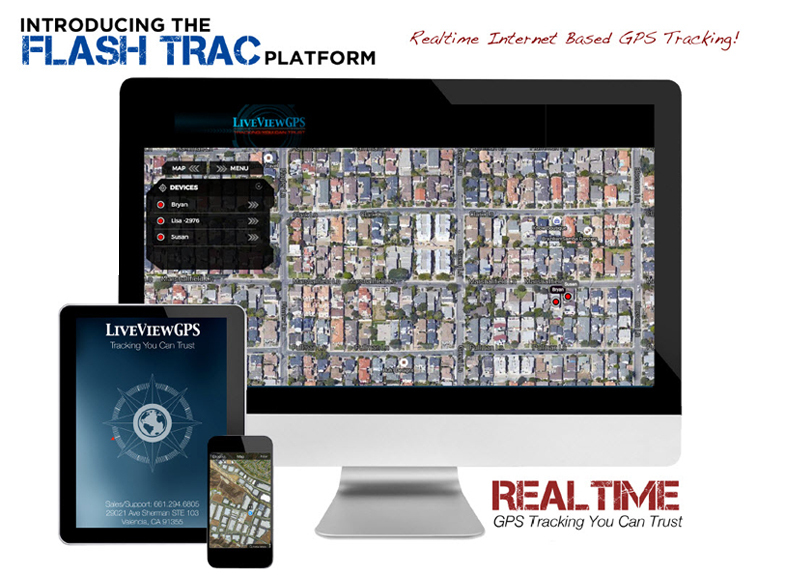 The Flash Trac® system is a fully featured integrated gps tracking platform perfect for basic fleet and personal vehicle tracking. The Flash Trac OBD takes seconds to install, is very intuitive and easy to use. 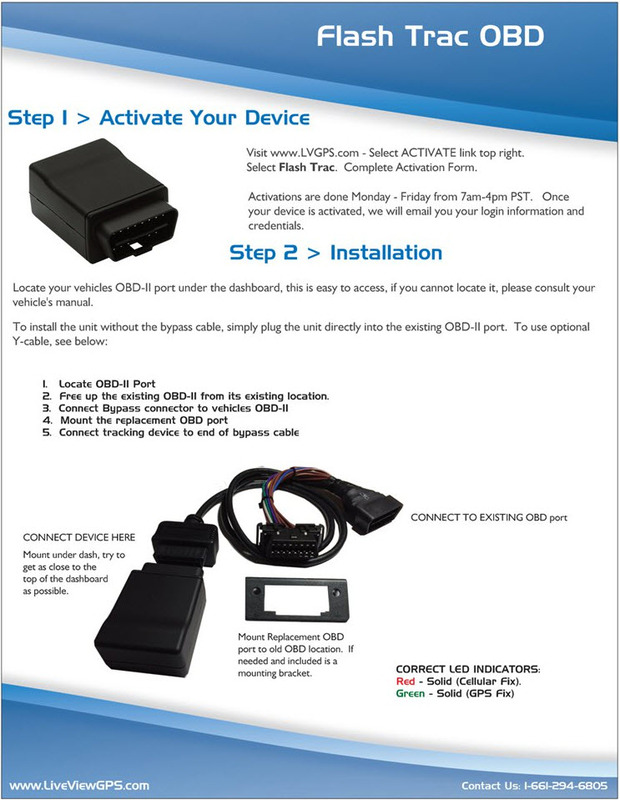 Simply insert the Flash GPS Tracker into your vehicles OBDII port (all passenger vehicles and light duty trucks built after 1997 have this port), login to your secure web portal and watch your vehicle in real-time. Instantly see where it is, and where its been. See all trips, and routes driven with the click of your mouse. Want to know if your vehicle is speeding? Has driven outside an area you designate? Flash Trac will let you know. The Flash Trac OBD hardware component consists of a small size, high value tracking device with superior GPS performance. This gps tracker includes an optional internal 200 mAh back-up battery, 3-axis accelerometer for motion sense, ultra low power consuming sleep modes, and is compatible to work with both 2G and 3G networks. The Flash Trac OBD can be installed most all passenger vehicles and light duty trucks manufactured after 1997. The Flash Trac portal is an intuitive and a very easy to use web based interface, that can be accessed from any computer or mobile device with Internet access. As a registered user on the system, you are assigned a unique username/password, which allows you to access your secure account and view your vehicle's location information in real-time. The advent of GPS use set the stage for expanding the range of the technology beyond simply mapping. Today, by incorporating specific software and hardware solutions, GPS technology can be used for everything from tracking teen driving behaviors to monitoring commercial drivers. However, before GPS technology can be used to its full advantage, potential users must truly understand why the technology is so powerful. Virtually everyone understands how a basic GPS device works. Satellites are utilized to track the movement of a user, which makes it possible to provide mapping that allows users to plan trips and track their progress toward reaching their destination. Of course, even basic GPS devices incorporate other features to provide users with information on services available along their routes. Today, the same technology has been harnessed to provide additional uses. Flash Trac OBD, for example, takes advantage of the OBD port already in all newer vehicles to allow tracking strategies both commercial and private users can readily take advantage of. Users of Flash Trac OBD simply plug a small device into a vehicle's on-board diagnostics port to start tracking a vehicle in real time. When the device is in use, the vehicle can be tracked using an easy-to-access system. Who Benefits From the Use of a Tracking Device? Business owners can certainly take advantage of the technology to track their company vehicles. The system allows the owners to see exactly where the vehicle is at any given time and provides information on a vehicle's speed, routes traveled, and stops. It also allows the business owner to view historical data when necessary to verify when and where a vehicle has traveled. Large trucking and bus companies, for examples, have incorporated this type of technology to ensure their vehicles are on designated routes and are following their schedules. Now, even smaller companies can economically track delivery trucks and other vehicles to verify their status at any time. The technology isn't just for business owners. Families can take advantage of the technology to keep track of their vehicles at all times, which adds an enhanced level of safety. Since the technology can be used anywhere, it's ideal for those living in remote areas where traveling can be difficult at some times of the year. Even when a vehicle is in a sparsely-traveled area, it can be tracked effectively, providing a level of safety not available in the past. Stranded vehicles can be located quickly, meaning help can be on the way without any unnecessary delays. Teen drivers pose a unique set of problems for parents or guardians. While teens need to learn independence, parents are still responsible for their behaviors. That means those parents have a vested interest in protecting their children when they are out and about in a vehicle. Flash Trac OBD provides parents with the ability to track their teen's location, average speeds, and other behaviors. If a teen driver is not following a parent's guidelines, the data collected allows that parent to take whatever steps are necessary to correct that behavior. Elderly drivers can also be tracked by caregivers or concerned children. When medical issues are a concern, knowing where the elderly driver is at any given time allows fast emergency responses should they be necessary. The system is not intrusive, meaning drivers are not inconvenienced in any way by having the technology in place. The increased personal security is, for most people, invaluable. No. In fact, the hardware component is very simple to install and the software is intuitive. The Flash Trac OBD simply plugs into the diagnostics port of any post-1997 vehicle. All needed parts are included, and installation instructions are provided. Users are assigned a unique username and password, and the interface can be accessed using computers and mobile devices to allow instant access wherever the user happens to be. That's a huge advantage for both business owners and concerned family members, as they always know where their employees or loved ones are. The system is compatible with mobile networks throughout the nation, so local access should not be a problem for potential users or when the vehicle is traveling. What Features Does the System Include? 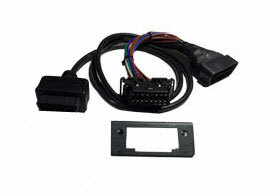 Flash Trac OBD incorporates several features that make the system convenient to use. Real-Time GPS Tracking means users know exactly where any tracked vehicle is instantly. When business owners depend on their drivers to be at specific locations at pre-assigned times, it's comforting to know those schedules will be met. Families have the same advantages, as anyone monitoring the system can easily determine if a vehicle is where it is supposed to be. Flash Trac OBD doesn't require any contracts, and the system is realistically priced at $14.95 per month. That means virtually any family or small business can work the minimal cost into a budget. Real-Time Alerts allow users to track a vehicle's speed, location, and whether the unit is functioning properly. If any tampering occurs, users will be notified immediately. Historical Views allow users to review a vehicle's history, making it possible to track past movements. Battery Back-Up and Low Battery Alerts mean owners always know when the available battery backup system is experiencing any difficulties. An Ironclad Money-Back Guarantee provides peace of mind knowing the company stands behind its products and services. If owners have any questions, support contact phone and email is provided that allows clients to get fast answers to any questions. Ordering the Flash Trac OBD is simple. Clients provide basic information and select the method of shipping desired. While free ground shipping is standard, faster shipping methods are available to allow clients access to the system faster. Business owners can realize instant savings when their vehicles are monitored, which reduces fuel use and minimizes downtime. Families installing the system enhance the safety of those using a tracked vehicle. When teen or elderly drivers are tracked, the enhanced level of safety can easily prevent accidents and the frustrations that come with not knowing where the loved one is at any given moment. Ordering now means your system will be in place within a few short days. The LiveViewGPS Flash Trac OBD is small hardwired 3G GPS vehicle tracker. The Flash Trac® includes an internal 200 mAh backup battery. January 6, 2018 by Jay P.
This gives us the confidence we need to monitor our fleet and assure the safety of our team. December 7, 2017 by Paul P.
October 15, 2017 by Victor S.
November 20, 2016 by Scott T.
Purchased to keep a Safe Eye on my teen driver and the vehicle. I can rest assured that my teen driver is where he says he is, that he is making safe driving decisions and that he made it to his destination. If for some unfortunate situation that he is not heard from as scheduled, I can quickly see where he is. This has really listed my stress level and it's a great tool. I recommend it to everyone. June 5, 2016 by Diana G.
The Liveview tracker has given me so much peace of mind. I use it to 'keep up' with my teenager. It has been wonderful to know that I can locate her, and she is safe. Fully featured real-time on demand gps tracking system in a budget friendly package. Flat rate unlimited system and tracking usage, $14.95 month. No contracts. Instantly connect from any web-enabled computer - no software required. High-resolution Google Map views and intuitive drill down control panel makes getting activity details fast and easy. Flash Trac devices contain internal batteries, that will allow the device to report - tampering and power cycles. As an added bonus it will also report low vehicle voltage. Flash Trac OBD simply plugs into your vehicles diagnostic port, while the Flash Trac HW is a simple three wire installation. Quick & Super Easy to use GPS Vehicle Tracking Platform. Access from any web enabled computer or mobile device. It's effortless, login and see your vehicle(s) immediate status on screen. View color coded icons for quick instant identification of moving vehicles which are green, idling vehicles are orange, and stopped vehicles are red! All Flash Trac devices connect to our servers using the ATT data network. Realtime Updates, Unlimited Use: $14.95 per month. Service plans are billed month to month, no long term contracts. Order Now! Ships same business day ordered! Shipping Is Free! Have A Question About "Flash Trac OBD" ?